But AP Jarvan is real, and not only that it was played in the LCK and worked...twice. Yes, his only scaling move is his Demacian Standard, and no you don't build full AP. Read on to see what this monstrosity is and why high-level Korean players fell in love with it! Demacian Standard [E] lasts for 8 seconds, resulting in up to four Aery procs to each E, one for the initial damage and then three more shields as long as an ally is in range of the attack speed boost. This results in a crazy amount of free stats during fights. At 11 seconds for 55 mana, Jarvan's E is excellent for poke damage. Its high speed also allows him to proc it relatively often before enemy shield supports can react in time to block it. While he'll still need his all-in to eventually kill an enemy champion, AP Jarvan can perform about the same against ranged and mele supports. Jarvan's always had some of the best low cooldown crowd control in the game. His lack of sustain is generally what held him back, but ever since shield item nerfs, he's now comparable to other poke/sustain supports. Support Jarvan ends up as a strong front line in mid-game, which is much different from most poke/sustain supports. By building tank right after his Zhonya's, Jarvan is the only support that fills a poke role in lane followed by an initiation/frontline role after laning phase. With hs low cooldown spells, Jarvan's able to E->Q in, Ult, Zhonya's, then E->Q back out for some clean Jarvan initiations and escapes. Patch 9.2 increased Jarvan's personal attack speed along with the boost his flag grants. This makes him considerably stronger than before, and just that much better as a support providing free stats. For comparison, his stats moved from 15/17.5/20/22.5/25% up to⇒ 20/22.5/25/27.5/30%, a 33% to 25% buff overall. During laning phase, Jarvan players will be continuously throwing their E in order to poke. This means that if the enemy jungler ganks, Jarvan has no way of stopping them. Even if his E is up, he'll need to walk forward or gap close into the enemy champions. His W slow is decent, but generally not enough to stop a gank from succeeding. As a very new champion to the support role in general, your allies are naturally going to be skeptical if they haven't seen this in action. Of course, you could always refer them to this post for more information. On the other hand, seeing this might just tilt them off the face of the planet before the game even begins. While this support build words, it's not exactly highly abusive. For example, the first time this was played in LCK J4 ended up with a 1-7 KD. This means that your first few times, you'll likely have a mediocre performance and end up killing yourself more often than not as a result of his low durability before some tank items. This might be obvious, but only Jarvan's E scales with AP. This means that building any AP is largely wasted, since outside laning phase you likely won't be using it to poke too much. 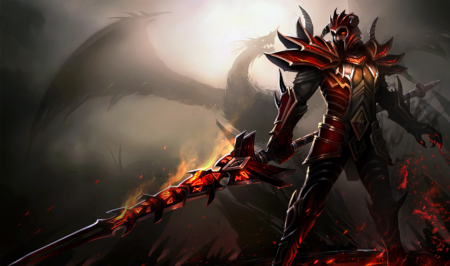 This version of Jarvan is certainly viable and building AP early in the game makes sense for laning phase. While he doesn't have any AP scalings outside of his E, it works well during the early game. 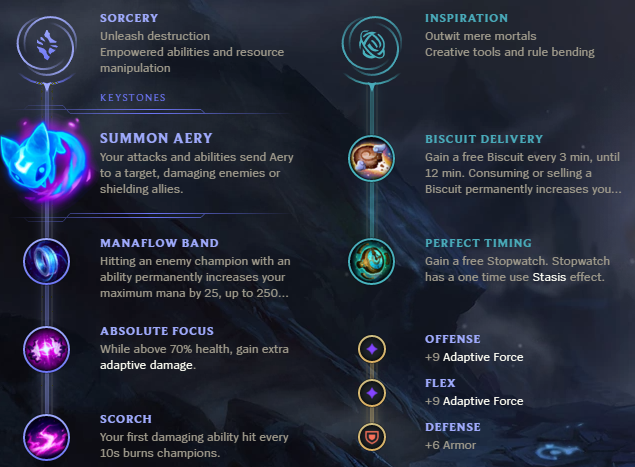 Aery is highly abusive with the flag mechanics, and I could see this becoming popular pick some day.